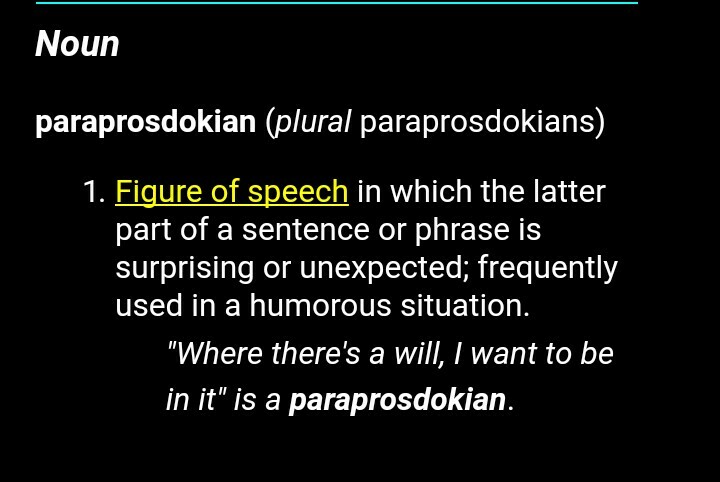 Did your English or Literature teacher tell you about 'paraprosdokian' under figures of speech? If he/she did, I advise you go back to him/her to say a very big THANK YOU for adding you to the list of the very few students who were taught this lesson while in secondary/high school. 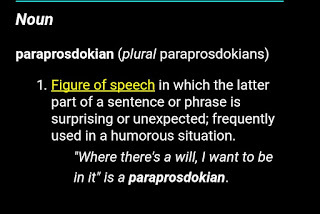 Unlike other figures of speech, 'paraprosdokian' lacks popularity among literature students despite the popularity of its examples. It is very uncommon in terms of word usage, and this might be as a result of its non availability in most printed and some online dictionaries. Paraprosdokian is a witty or clever statement or saying with a surprising or an unexpected and humorous end. 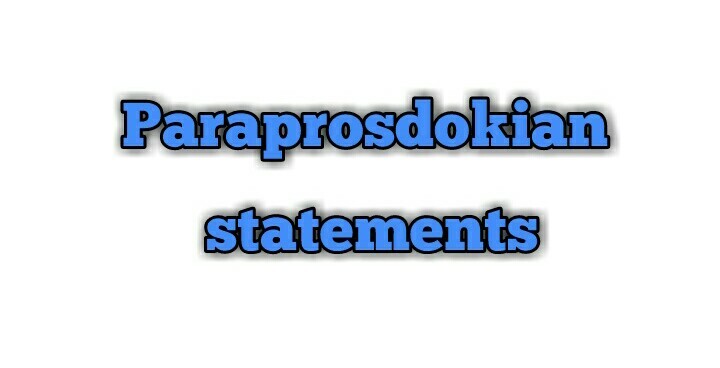 The latter part of a "paraprosdokian" statement is usually unexpected and humorous, and because of this, the reader or listener unavoidably analyses the former part of the statement to understand the actual message the speaker is trying to pass across. Paraprosdokian (also called the surprise ending) is often used for comic effect hence mostly used by comedians and satirists. A very common example of paraprosdokian is "Where there's a will, I want to be in it". To steal ideas from one person is plagiarism, but to steal from many is research. I am supposed to respect my elders, but it's getting harder and harder for me to find one now. Don't argue with an idiot; he will drag you down to his level and beat you with experience. If everything seems under control, you're not just going fast enough. In the end, it is not the years in your life that count; it is the life in your years. From the examples above, most persons can confidently argue that, at one point in time, they had made statements that could be best described as paraprosdokians. Can you remember any of those statements? If yes, kindly use the comment box to state them. Now I know, I've used; I didn't say it was your fault, I said I was blaming you.